Al Byrne is a Navy veteran. He was raised in New England, went to college at Notre Dame, and has an economics degree. He served in Vietnam and has a wife who is a nurse. Al is packaged as an all-American guy, so you would assume he is pretty conventional. That is until you hear his passionate teachings about medicinal cannabis for his fellow veterans. One of the big points of this program is to focus on the endocannabinoid system. The compounds that help the process of protein homeostasis, Al claims, match the compounds of cannabis. Progress was not made for veterans wanting medicinal marijuana until this current decade. 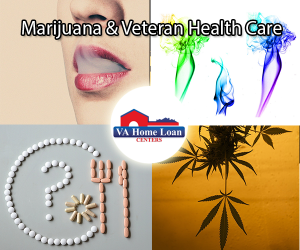 The VA released a directive in July of 2010 stating veterans taking part in legal medical marijuana procedures would not be disqualified from other programs for substance and pain control programs, or clinical trials. As of February of 2015, VA physicians treating veterans were told to not recommend cannabis to patients, even if they were practicing in the 23 states that are allowing medical marijuana consumption protocols and 14 states who allow marijuana extracts for medicinal purposes. Dr. Carolyn Clancy, with the VA, was one of the advocates in facilitating conversations to allow medicinal marijuana for veterans. Alongside this official’s efforts, there is also the Respect State Marijuana Laws Act from the Marijuana Policy Project that has been brought to Congress a few times. 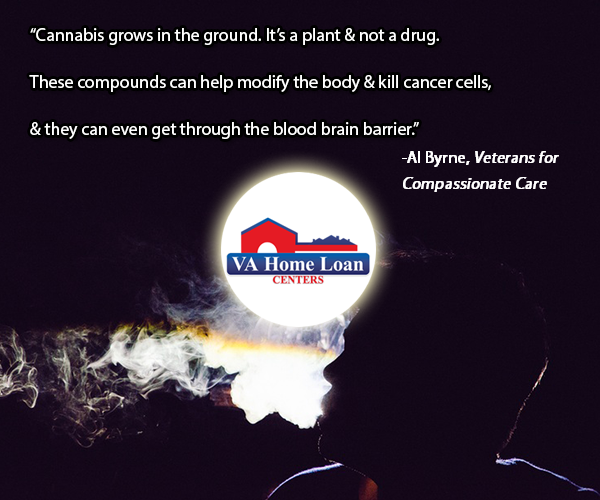 Victory came in May of 2015 when The Senate Appropriations Committee approved a multi-billion dollar bill that would help with military benefits, including an amendment giving freedom to VA doctors in recommending cannabis to patients. This notion, The Veterans Equal Access Amendment, will allow doctors to modify medical forms for military patients requesting marijuana and to recommend it to patients who would otherwise follow a pharmaceutical protocol. The biggest issue is getting all of the states to allow a medicinal marijuana protocol. This is where Al’s program and his advocacy come into play. Medicinal marijuana is proposed to be a better treatment than traditional, pharmaceutical medicine’s currently used by the VA. If you want to help Al’s cause, you can donate to them here, follow them on Twitter, or like them on Facebook. For details on where medicinal marijuana is currently legal and under what parameters, please visit this ProCon.org page, or refer to other sources via independent research. Are you a veteran, active duty or surviving spouse who wants to take advantage of the VA home loan? To apply now, click here. Call 888-573-4496 or contact a representative via the site’s chat. We also invite you to like us on Facebook or follow us on Twitter.